Most of us know that too much sun exposure can harm our health – but because this harm is not always visible, it’s hard to identify the damage until it’s too late. Over-exposure to solar ultraviolet (UV) radiation is a serious hazard for everyone, but particularly those who work outdoors. So as the southern hemisphere enters the scorching summer months, authorities from both Australia and New Zealand are taking the time to remind employers of their obligations regarding sun exposure in the workplace. provided with no sun protection. The Skin & Cancer Foundation of Australia are urging employers to wake up on sun safety, after new research found an ‘unacceptable’ number of organisations are failing to meet their responsibilities in protecting workers from sun exposure. The report found that 8 million Australian workers work outside sometimes, mostly, or all of the time. Alarmingly, 57% of these outdoor workers said their employers did not supply sunscreen, 66% did not supply protective clothing and 80% did not provide sunglasses. Of most concern, was that 28% of outdoor workers were provided no protection at all from their employers. Skin & Cancer Foundation associate professor, Chris Baker, said the number of employees provided with little or no protection was simply “unacceptable”, and that employers needed to wake up. Andrew Farr, workplace law partner at PwC, said the careless attitude by many employers to sun protection was concerning, and that employers were potentially opening themselves up to hefty workers’ compensation claims down the road. Myth 1: When you can’t see or feel the sun, you are safe and can’t get burnt. False – UV radiation can’t be seen or felt. 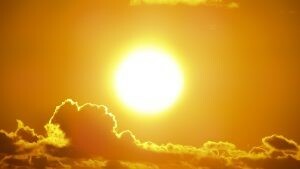 Sunlight or warmth from the sun is not the same as UV radiation. The radiation from the sun does not provide light that we can see, or heat that we can feel, so your skin can burn even if it feels cool. Myth 2: Wearing PPE is an inconvenience and difficult to enforce with workers. False – Wearing PPE or protective clothing can be an inconvenience if it is not the right fit for the job. However, choosing the right PPE and protective clothing for the job minimises inconvenience and discomfort. Myth 3: Sunscreen provides enough protection on its own. False – sunscreen is limited in the amount of protection it can provide and should not be the only form of sun protection. It must be applied correctly over all exposed areas and reapplied regularly as it wears off (especially after coming into contact with water). Myth 4: I haven’t used sun protection before and it’s too late now to start. False – sun damage adds up, meaning the more we are exposed, the greater the risk. It is never too late to start protecting skin and eyes against UV radiation. Myth 5: I have developed a gradual sun tan without burning so I am better protected from the sun. Simple processes can help reduce risk, reduce cost and ensure all your workers get home safely. At TCA Partners we have experienced OHS & Training Specialists with a wealth of experience, across a range of industries. To see how we can assist you take a practical proactive approach to putting into place OHS Management Systems and ultimately assist in improving business operations and safety management systems within the organisation please contact us.